After comedian Robin Williams died in 2014, it was discovered that his brain was "riddled with Lewy bodies." 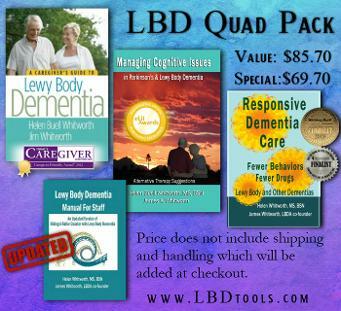 What are Lewy bodies? Lewy bodies are normal alpha-synuclein proteins in the brain that become damaged and clump together, causing more damage. What damages the proteins? Researchers believe it is a combination of genes and environment. Exposure to pesticides and petro-chemical toxins appears to increase the likelihood of a person developing a neurological disorder. The type of disorder may depend on the person's genes. Although treatment for all Lewy body disorders depends on the disorder and the symptoms, some drugs and most non-drug options are generally helpful. For more information on options and therapies, click here.